NVIDIA’s next rendition of its portable gaming console SHIELD, looks to be taking shape quite nicely. Recently taken from AnTuTu, a benchmark has given a little bit of insight as to what we could expect to see from NVIDIA in 2014, as well as their plans for integrating the Tegra K1 processor into the platform. 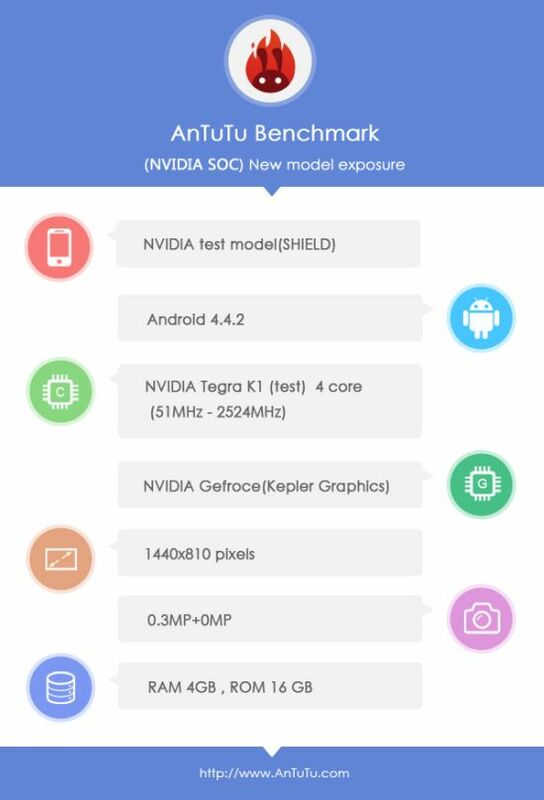 As we see in the benchmark, which are never the end-all, be-all final word for specs on devices, the SHIELD 2 (as we will call it), is apparently running the Tegra K1 processor, clocked at 2.5GHz. In addition, the device looks to feature a display with a resolution of 1440 x 810, 4GB of RAM, a 0.3MP front-facing shooter (just as I recommended last year), 16GB of internal storage (more than likely expandable with microSD), and will come running Android 4.4.2. On a personal note, as someone who enjoys the SHIELD console, I do hope they don’t take much away from the build quality and overall look of the device. I rather enjoy the toughness and ruggedness the SHIELD gives off. However, if they can bring down the weight, and find a price that more consumers can agree on, I think they will do better this time around. 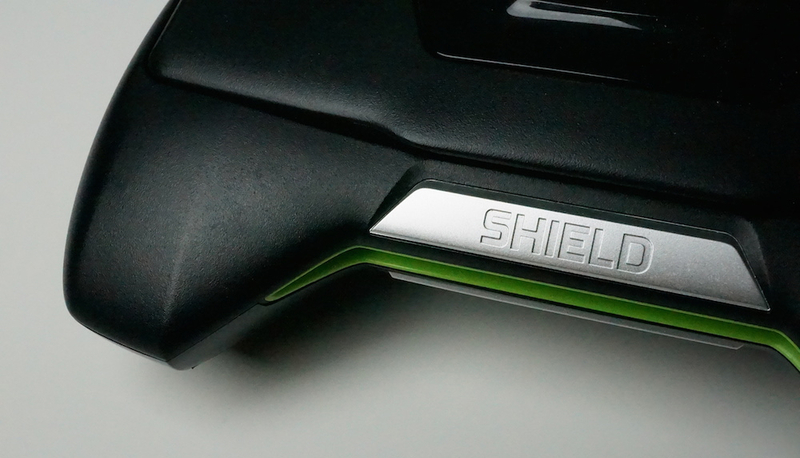 If you are interested in SHIELD 2 news, don’t worry, we will be keeping our eyes peeled for additional info.